He does beautiful pieces and combines the woods in a really unique way. We'd love to have him on www.custommade.com! 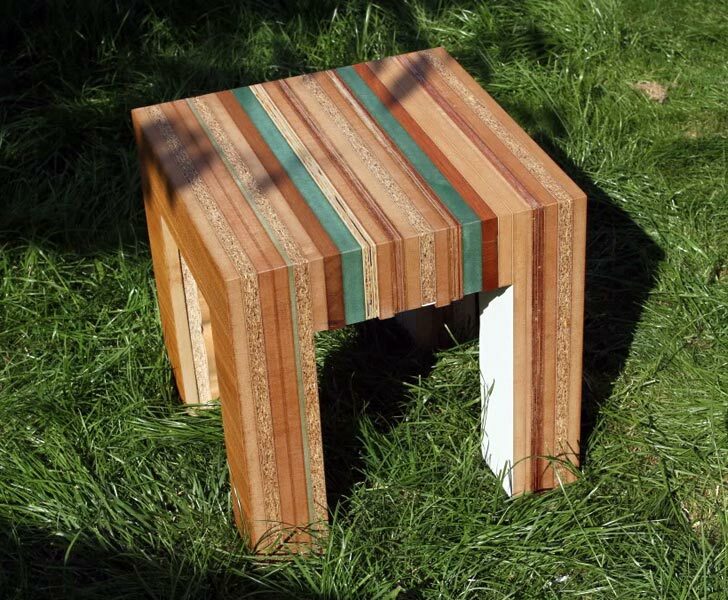 Tristan Titeux' series of "re-cut" furniture is made from waste wood offcuts salvaged from the production of modern furniture. Titeux sees the series as a way to start a conversation about waste, about materials and about their origin. The top of his colorful "Milo" table is smooth and finished with Auro natural oil, and the bottom and interior is left purposefully rough and unfinished to create contrast. Titeux says: "I like the contrast and want people to look at it closely and think about what it has taken to get these materials to us, the trees that have grown, the process it all has gone through both good and bad, the bonding glues that are used, why these are bad and what is the sustainable solution to them."